The best way to learn how to write a narrative-style college app essay is to read what others have written. 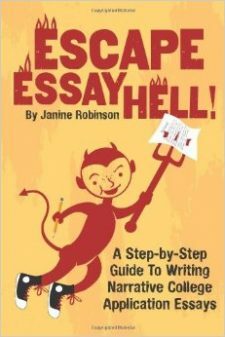 This is a collection of 50 sample college app essay written mainly by my former students. And they all got into amazing schools—including the most competitive, such as Harvard, UCLA, Northwestern, Cornell, Penn, Berkeley, Brown, Williams, etc. By reading Heavenly Essays, students can get a sense of what a narrative essay is all about, and also find ideas for their own topics. Check out some of the essays in Heavenly Essays HERE!